6 Daily Blessings bring you another awesome giveaway. 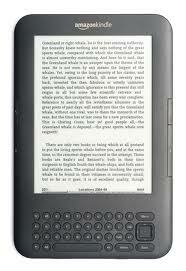 The prize at stake this time is this cool Kindle from Amazon. Contest runs til 08 August or till she reaches up to 1000 followers on blogger + 1000 twitter followers, so you’ll have loads of ample time to join. See contest page for details Good luck!